Singapore Airlines (SIA) stories of stewardesses, stewards of more than 10 years by Boh Tong : My book is Bestseller... I din say it but Popular said it. My book is Bestseller... I din say it but Popular said it. 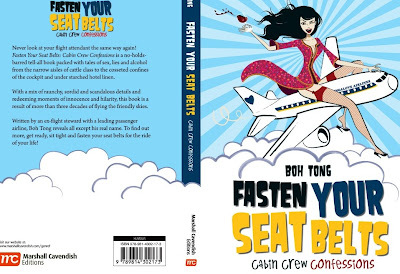 congrats boh tong hope publisher give you cny ang pow.do come up with 2nd publication,you will definitely get my support. Thank U "no more voice" for your support. Best seller in Singapore, then Malaysia, international! Will the publisher give you an invoice of their sales? If so, then you can actually know the number sold! Aiya BT's publisher is Big time one so don't worry it won't cheat BT. BT also needs the invoice so that he can file his tax claims.